Resilience Shift research contributed to this special edition journal. 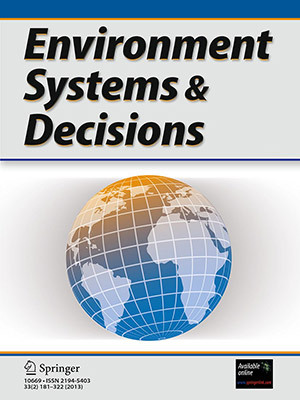 This special issue of Environment Systems and Decisions is influenced by our recognition at the Resilience Shift that, although the safety and well-being of billions of people depends on infrastructure systems, at present, we do not design, deliver and operate for resilience. What design, deliver, and operate for resilience would mean in practice is the subject of the articles in this issue. Resilience Shift kicked off its work with an agenda setting exercise, calling for research proposals to map the pathways from where design and engineering practice for resilience is today to where it should be. This special issue provides a summary of several of the most important papers Resilience Shift received (detailed below as papers: 2, 3, 4, 5, 6), that have been updated to reflect changes or advances since Resilience Shift agenda setting papers were concluded a year ago. The original set of white papers is available in the Publications section of the Resilience Shift website. A special introductory paper by Dr Nancy Kete, (detailed below as paper 1) formerly Executive Director, Resilience Shift, reviews the context and aims of the research, and highlights some of the key learnings from individual papers. The issue is edited by Giuliano Punzo, Igor Linkov and Nancy Kete.